Isnt't this fabulous?! I absolutely love this. I gave this to Oscar for his birthday. 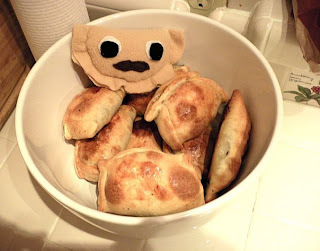 Apparently, Ernesto the Empanada has been on quite a few trips! and maybe quite soon heading to S. Korea! Be safe Oscar, and Ernesto.